See below for details and pricing! 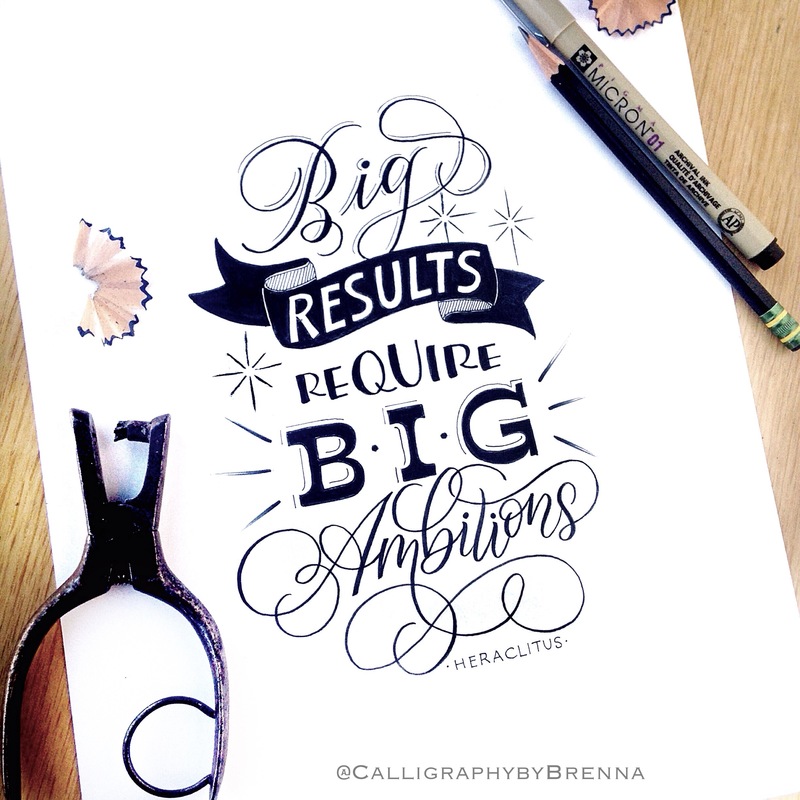 Our mission is to provide you with useful, inspiring, and entertaining content to help you succeed in your lettering journey and achieve your creative business goals! NOTE: The current issue is best viewed on tablets. HOWEVER, we are adding the smart phone version in February 2019 so you won’t have to pinch ‘n zoom on your phones anymore! You will be able to toggle between tablet and phone versions. It will be awesome! You’ll be notified by the app to update your magazine when the smart phone version is ready! Kathy Milici’s Stunning Flourished Ukulele with Mama Milici’s Secret Sauce Recipe! Am I Ready to Teach? Too much amazing content to list! 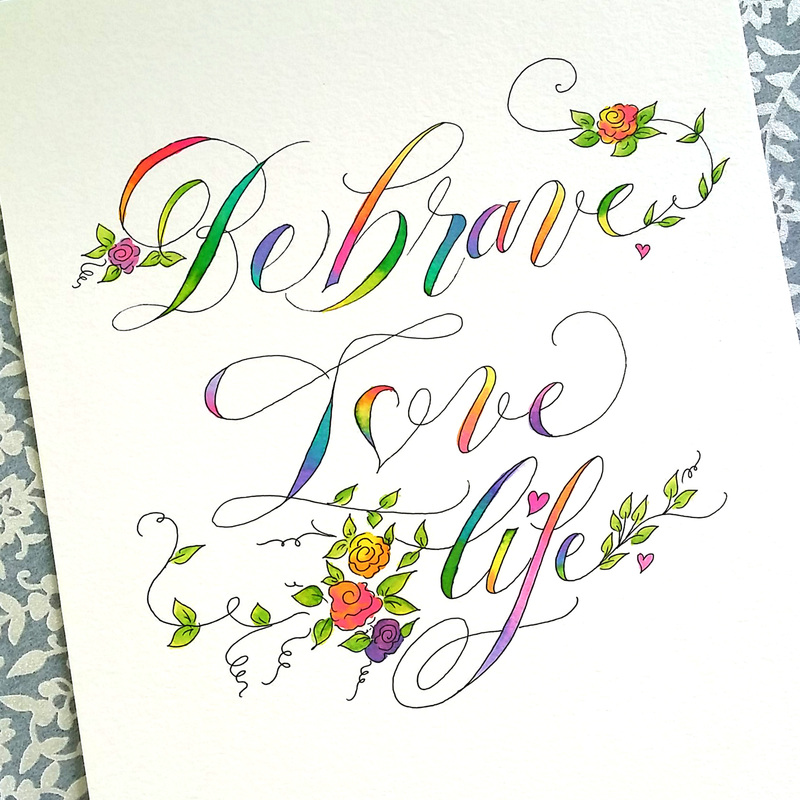 Mesmerized watching videos of calligraphers demonstrate their lettering finesse and wonder how in the world they do it? 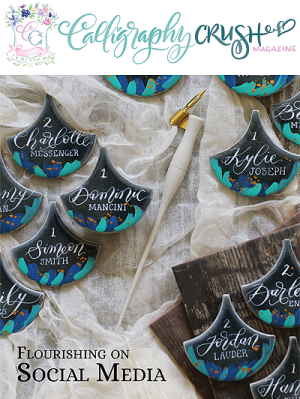 Saving lots of lettering tutorials, calligraphy challenges, watercolor crests, and modern calligraphy to your Pinterest? A paper hoarder who appreciates pretty stationery, journaling, planners, and want to improve your handwriting to spice up your pages? 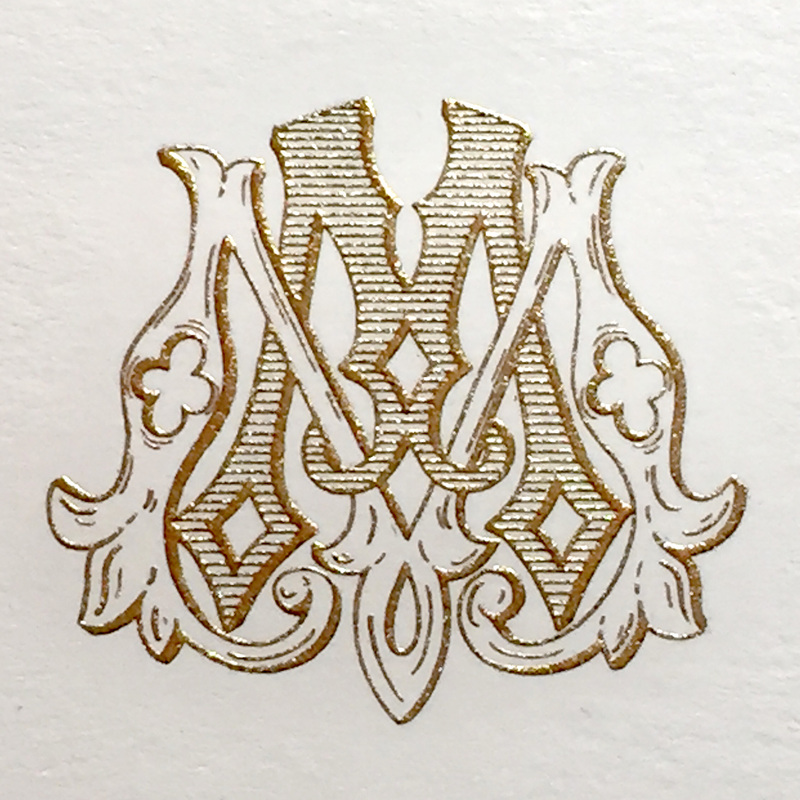 Wanting to learn or improve your calligraphy skills so you can DIY certificates, gift tags, your wedding ensemble, albums, greeting cards, prints, and home decor? 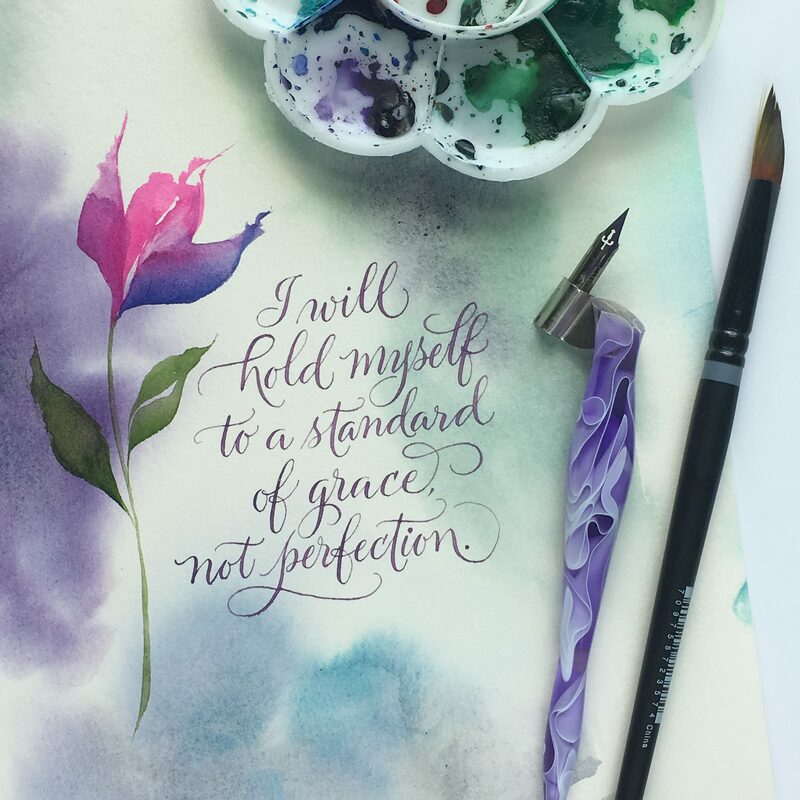 A professional calligrapher looking to learn business tactics to ensure your booked months in advance with calligraphy commissions? 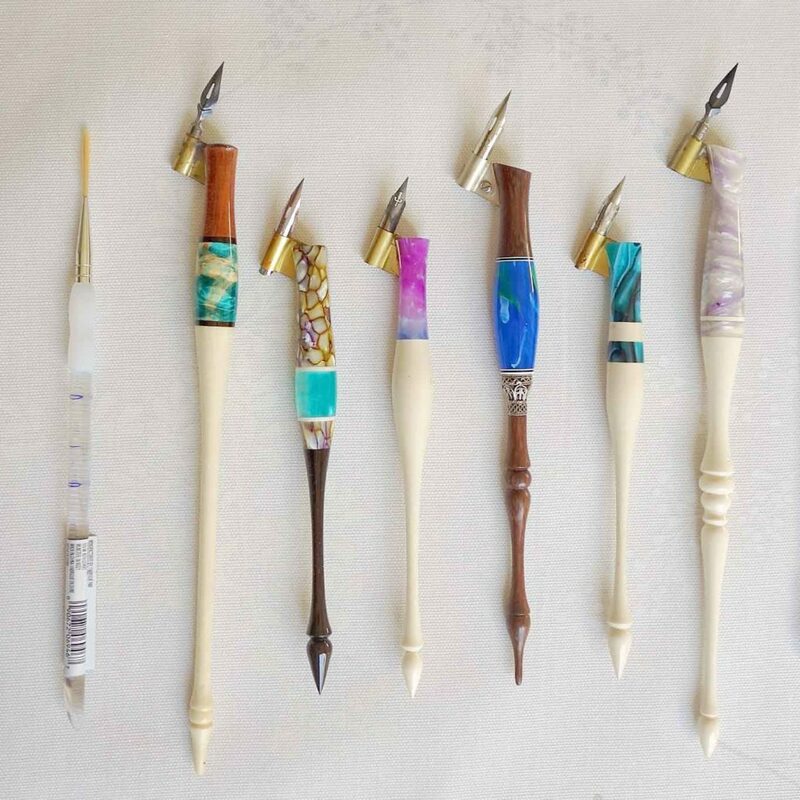 Then it sounds like you are Crushing on Calligraphy like we are! 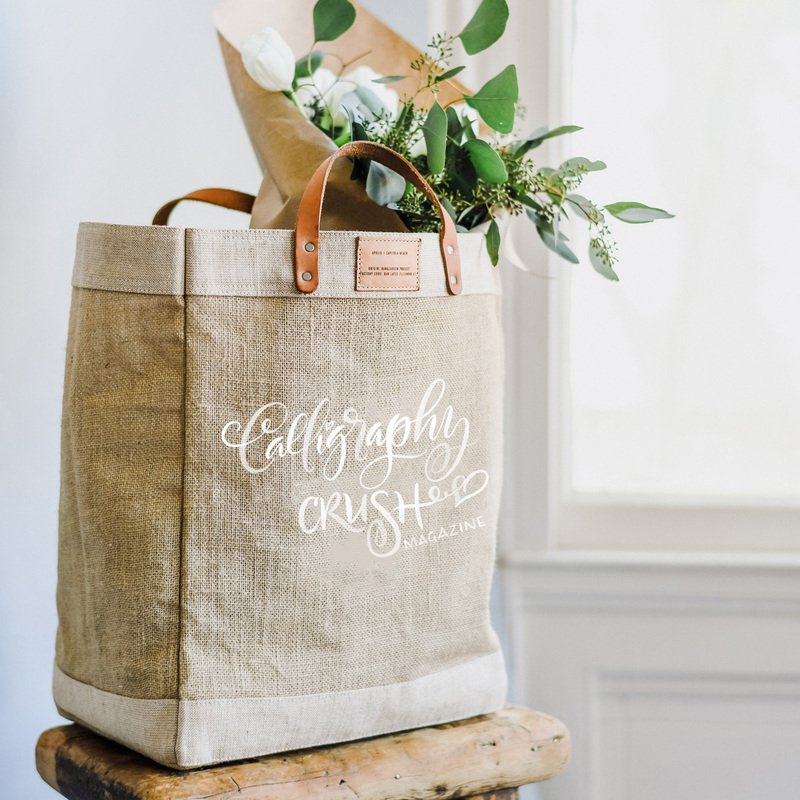 Calligraphy Crush is a quarterly digital magazine designed, written, and published by professional calligraphers for creatives who love calligraphy, handwriting, watercolors, and pen and ink illustration. 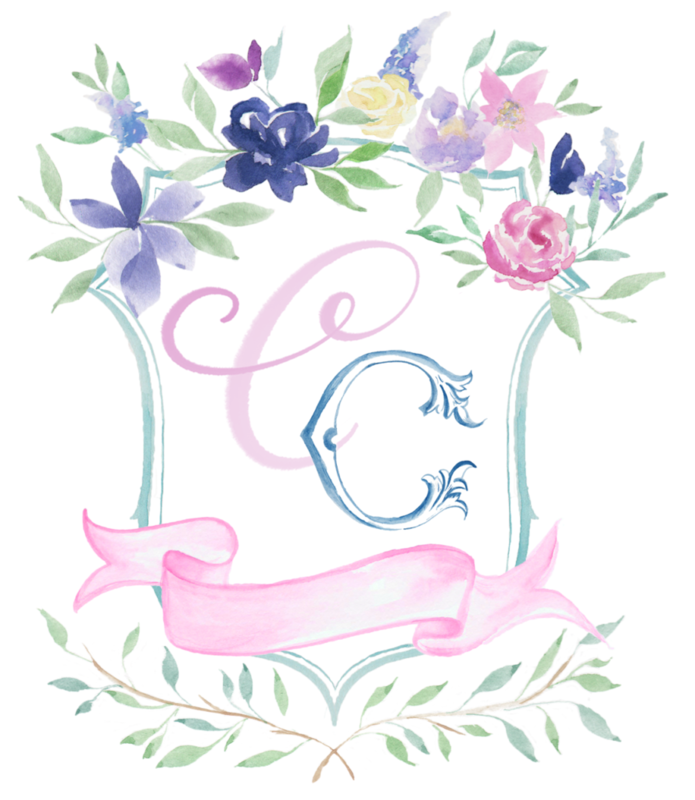 Artist Spotlights * Business & Best Practices * iPad Lettering * Studio Tours * Dip Pen * Brush Lettering * Watercolor Illustration * Journaling * Process How To’s * Tutorials * Readers’ Gallery * Tips, Tools & Techniques & more! 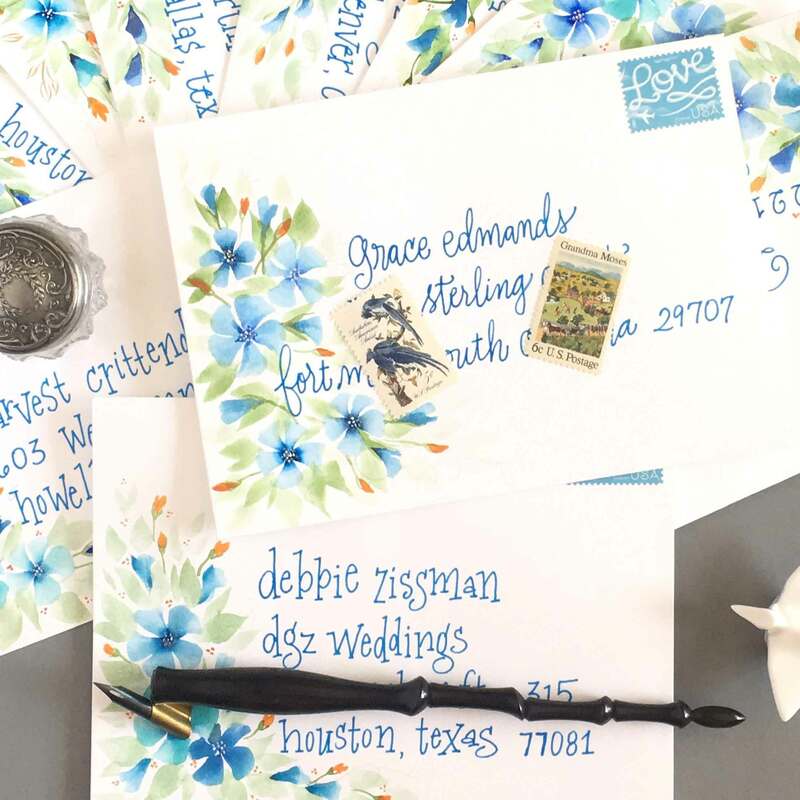 For Inspiration, How To’s, Find a Calligrapher, Calligraphy Products, Tools of the Trade, and more. 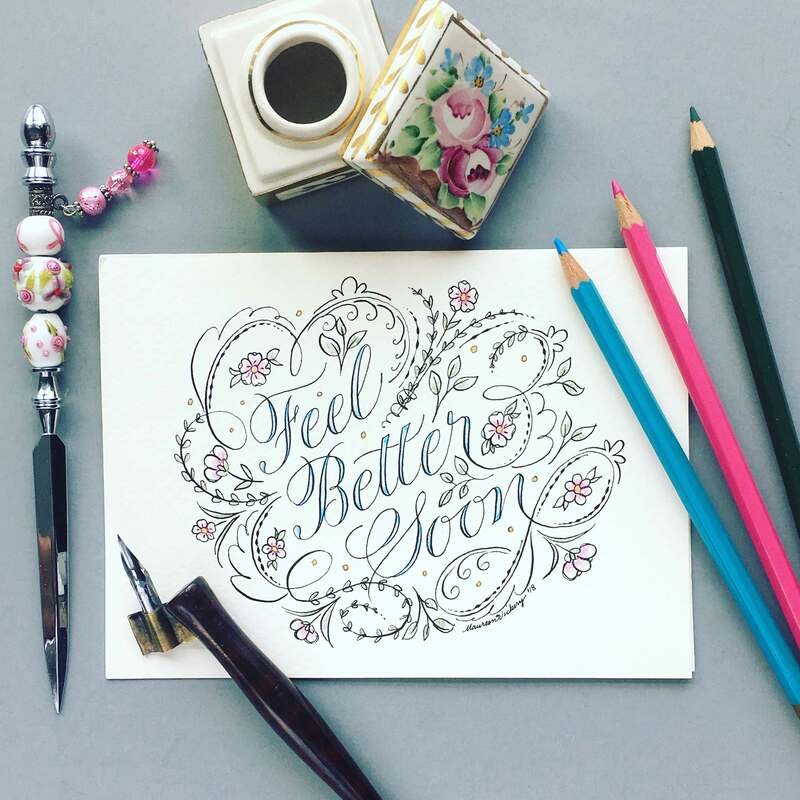 See what’s new and what everyone is talking about in the lettering & calligraphy design world. Sign up for our newsletter to receive updates about our issue releases, call for submissions, design challenges, industry news, scholarships, and giveaways!